The Wolfsnächte tour is nearly finished with sold out shows all over Germany, France, Czech Republic and Switzerland. 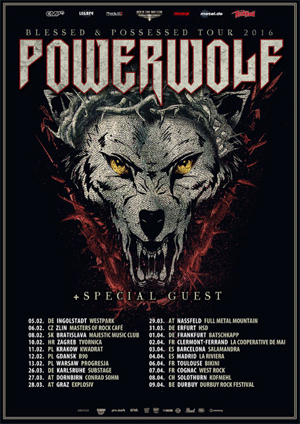 Now POWERWOLF have announced upcoming tour dates for the Blessed & Possessed Tour 2016 - covering many countries where they haven’t been with their latest tour. Support acts will be announced soon. Tickets are now on pre-sale.